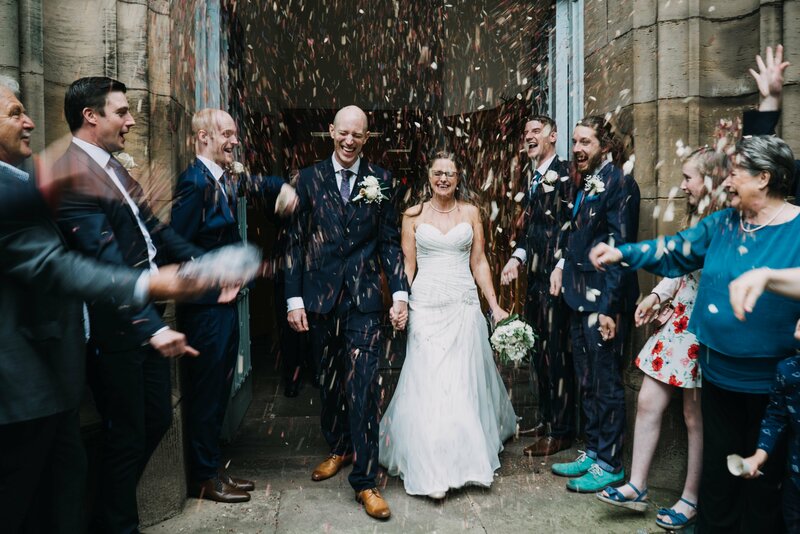 August 29, 2017 / STORIES OF "I DO"
It was a pleasure to capture the wedding of Lizzie and Dave in Belper, Derbyshire. 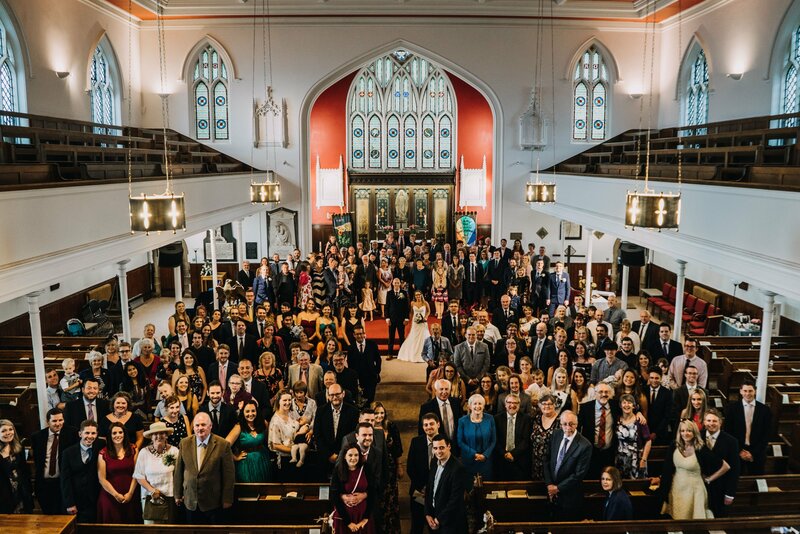 A large wedding with an overwhelming attendance of friends, family, and loved ones. It was beautiful to see so much love and enthusiasm around the excited newlyweds. The couple said “I do” in a gorgeous setting, much of which they decorated by hand with homemade items. The wedding had so many subtle, personal touches. These reflected the couple’s personality and the close relationship they have built. 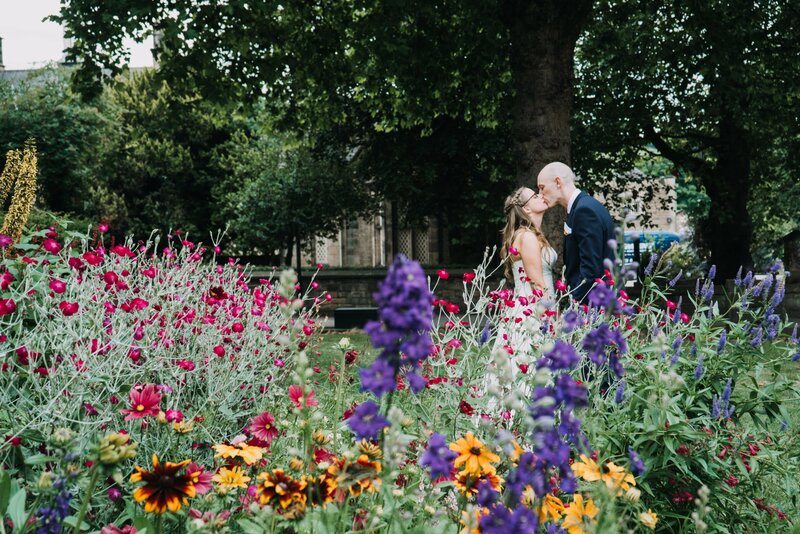 On a bright, summer afternoon Belper welcomed the bride and groom for a gorgeous wedding. The theme of the wedding matched the couple’s hip personality. Adding a little edgy, industrial grunge while still including several homemade, rustic elements. 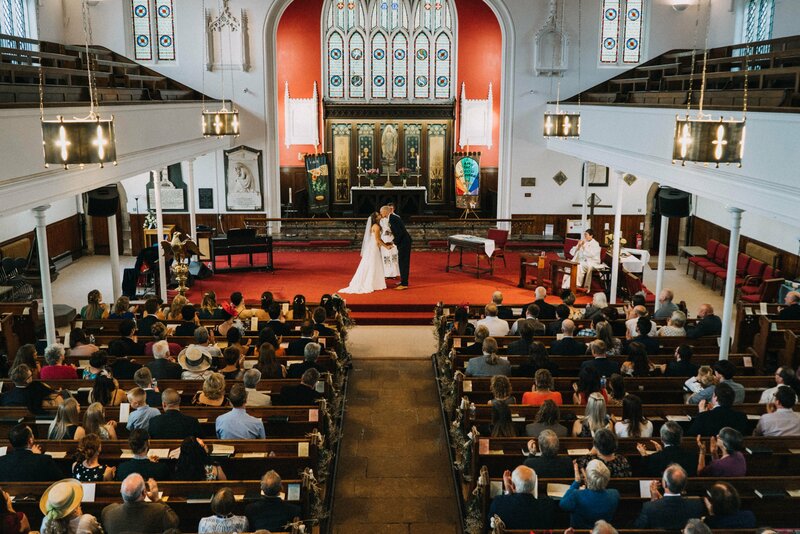 The wedding at the grand St. Peter’s Church in Belper, Derbyshire included a large number of guests. While Lizzie and the ladies got ready at her family home, the men rented an Airbnb cottage about a mile away. Dave chose his brother, Andy, to stand beside him as the best man. Dave arrived early in a Maserati Coupe with his best man and groomsmen. Lizzie invited several of her close friends to serve as her bridesmaids. Lizzie’s godmother, a vicar and close family friend conducted the ceremony. At the beautiful, Waterloo church the couple incorporated many relatives into the service. Lizzie’s mother and brother performed on piano and vocals. The wedding boasted a large attendance, and we were able to capture shots from the balcony of all the guests. Petal confetti thrown at the newlyweds was dramatic as they processed out of the church. The bride and groom took off in a black Bentley Continental for their reception. 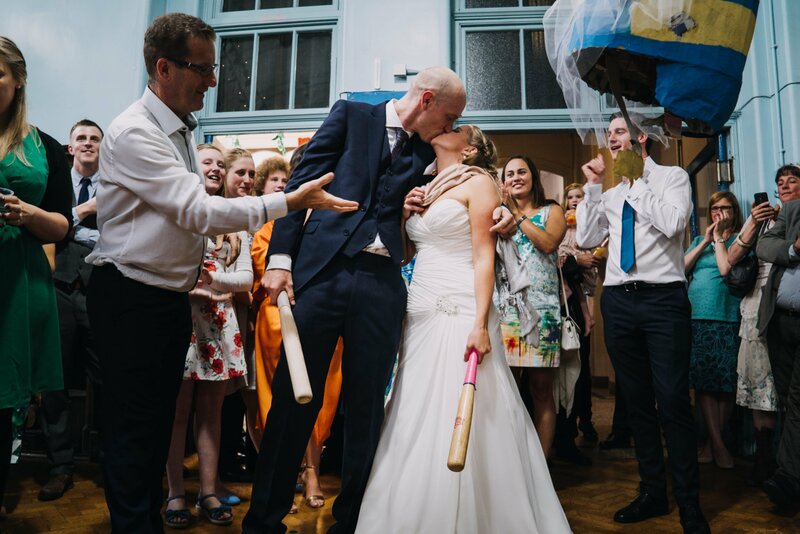 Their reception was at the Stutts Center in Belper. The Strutts Center is an old school, now taken over by the community and kept running as a community project. Dave and Lizzie got to take ownership of the place and make it their own for the big day, decorating it in a rustic theme. They even hung vines overhead, to which they took the time to sew leaves by hand for the full effect. Guests enjoyed homemade punch, a sweets table, and an ice cream stand. Lizzie’s father gave a speech that brought the audience to both laughter and tears. Best man Andy spoke about the deep friendship that grounded the couple in their love to each another. Dinner consisted of a huge BBQ with a long queue for food. Lizzie’s brothers entertained guests with a game of “higher or lower” while they waited. Lizzie’s cousin created the dessert for the occasion. A rustic, three tiered cake covered in leaves and flowers. On top were figures climbing to the summit. After cutting the cake, Lizzie’s brothers gave her a surprise present. A minion bride piñata stuffed with sweets for the couple to break open together. This made for some of our favourite photos of the day. Entertainment was the band, Ska Wars, so everyone would dance in the evening. A bouncy castle was set up outside for children and the young at heart. 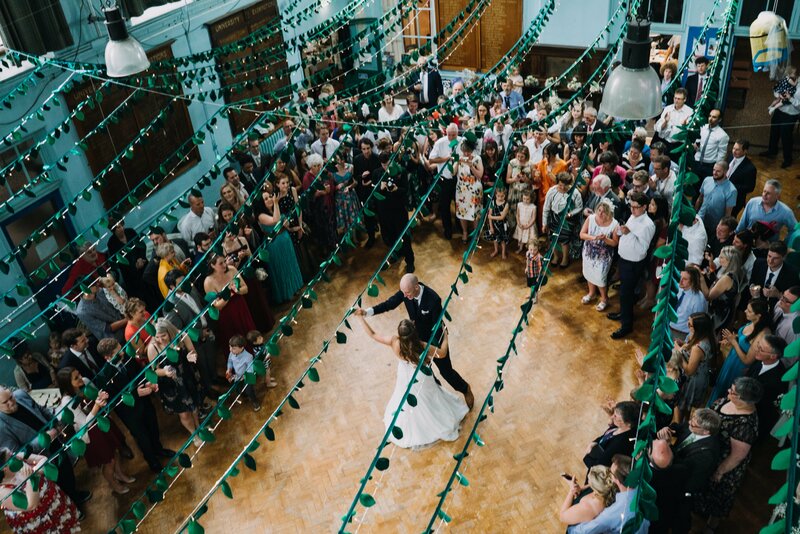 The couple shared their first dance to “Home” by Edward Sharpe and the Magnetic Zeros. Guests gifts on the way out were homemade fudge made by the newlyweds. The wedding was a wonderful day of love and laughter. Lots of personal touches and handmade items made occasion unique. We photographed an adventure shoot with them a few months prior in Bolton Abbey – Click Here. 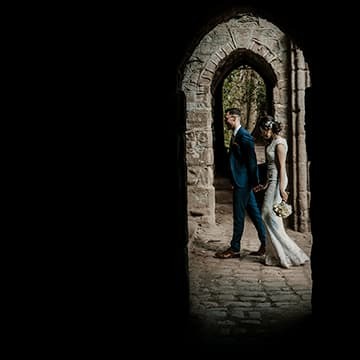 Greg & Claire – Inglewood Manor Wedding Photographers STORIES OF "I DO" Sneak Peek – Stuart & Rachael | Manchester STORIES OF "I DO" Holme-On-Spalding – Luke & Steff – Viking Themed Wedding STORIES OF "I DO"